Attention deficit hyperactivity disorder (ADHD) can take quite a toll on both the adults and the child who has it. It’s tough for the individual who must cope with daily frustrations. It’s rough on family members whose lives are regularly disrupted by the disorganization, outbursts, temper tantrums or other misbehavior of the child. It’s normal for parents to feel helpless and confused about the best ways to handle their child in these situations. Because kids with ADHD do not purposely decide to act up or not pay attention, traditional discipline — like spanking, yelling at, or calmly trying to reason with your son or daughter — usually doesn’t work. A combination of these two approaches. Used properly, medicines such as methylphenidate hydrochloride (Ritalin) and other stimulants help suppress and regulate impulsive behavior. They squelch hyperactivity, improve social interactions and help people with ADHD concentrate, enabling them to perform better in school and at work. They rarely make children feel “high” or, on the flip side, overly sleepy or “out of it.” Although not known to be a significant problem, height and weight should be monitored with long term use of these medications. These medications are not considered addictive in children. However, they should be carefully monitored in teenagers and adults because they can be misused. It is important to understand that these medications are not a cure-all, but they can be highly effective when used appropriately in the right dosage for each individual. 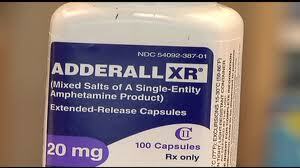 In fact, as many as nine out of 10 children do better when they are taking one of the most commonly used stimulants. However, in combination with other techniques such as behavior modification or counseling, symptoms may improve even more. Researchers are currently evaluating the effectiveness of medications in combination with these other approaches to determine the best route to take. Atomoxetine (Strattera, marketed as a “non-stimulant,” although its mechanism of action and potential side effects are essentially equivalent to the “psychostimulant” medications). Buproprion hydrochloride (Wellbutrin) — an antidepressant that has been shown to decrease hyperactivity, aggression and conduct problems. Imipramine (Tofranil) or nortriptyline (Pamelor) — these antidepressants can improve hyperactivity and inattentiveness. They can be especially helpful in children experiencing depressionor anxiety. Clonidine hydrochloride (Catapress) — used to treat high blood pressure, clonidine also can help manage ADHD and treat conduct disorder, sleep disturbances or a tic disorder. Research has shown it decreases hyperactivity, impulsivity and distractibility, and improves interactions with peers and adults. Unlike a short course of antibiotics, ADHD medications are intended to be taken for a longer period of time. Parents should anticipate that, for example, if the child begins taking a medication at the start of the school year, then they are generally going to be committed to working with that medication for the rest of the school year. A child’s situation may improve to where other interventions and accommodations kick in and the child can function pretty well without the medication. Because children change as they grow — and their environments and the demands they face evolve as well — it is important for families and their physician to maintain open lines of communication. Problems can be encountered when a family discontinues a medication without discussing their concerns with the practitioner first. 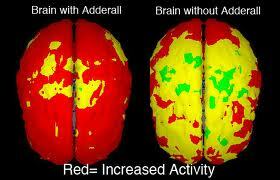 Adults with ADHD also respond well to similar interventions, including stimulant medications. When making treatment choices, practitioners should consider the individual’s lifestyle. While these medicines can be very beneficial, side effects can occur and should be monitored. Non-stimulant medications, including the antidepressant Buproprion hydrochloride (Wellbutrin), have been used. Newer reports show other antidepressants such as Venlafaxine (Effexor) may be beneficial in adults as well. Research has shown that medication alone is not always sufficient. For more than two decades, psychosocial interventions such as parent training and behavioral modifications have been used for children with ADHD. A key goal is to teach parents and educators methods that equip them to better handle problems when they arise. In this approach, they learn how to reward a child for positive behaviors and how to discourage negative behaviors. This therapy also seeks to teach a child techniques that can be used to control inattention and impulsive behaviors. Group therapy and parenting education can help many children and their families master valuable skills or new behaviors. The goal is to help parents learn about the particular problems their children with ADHD have, and give them ways to handle those problems when they arise. Likewise, children can be taught social skills and gain exposure to the same techniques the parents are learning, easing the way for them to be incorporated at home. Most parents consult with their child’s pediatrician or family physician first. If the child mainly has symptoms of hyperactivity, impulsivity or attention problems, then these doctors are in a position to address those concerns. If the child has associated other difficulties, including anxiety, fears, depression, or motor tics, then they should be seen by a mental health specialist, such as a child psychiatrist or school psychologist. Neurologists, whose field focuses on the brain and nervous system, also diagnose ADHD. It is important to involve the child’s teacher. Educators can lend valuable insight that helps health professionals arrive at an accurate diagnosis and plan the best treatments for that child. Teachers can convey how the child is behaving in school and help review the child’s academic progress. Because researchers do not yet fully understand what causes ADHD, there are no documented strategies for preventing the disorder. However, some recent studies have indicated that smoking during pregnancy appears to be associated with an increased risk for ADHD.